The Performing Arts Department at Washington University in St. Louis recently hosted a symposium on the topic of performance re-creation. My colleague Christine Knoblauch O’Neal, a dance scholar and artist, quickly settled on reperformance in part because of her ongoing research into the work of dance trusts—institutions like the Antony Tudor Ballet Trust that are dedicated to preserving choreography. But we saw too that the activities of these institutions are closely linked to broader questions. Other arts institutions are now facing the complex tasks of curating performance. Marina Abramovic’s plans to open an institute of performance art in an abandoned theatre in Hudson, New York, point to a wider institutional investment in “live art” (and incipient mutations in theatre space). 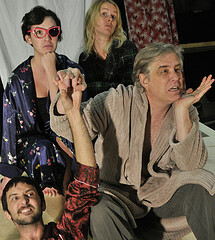 Theater companies including the Wooster Group and the Rude Mechanicals have garnered attention for re-creating plays such as Grotowski’s Acropolis (1964) and the Performance Group’s Dionysus in ’69. 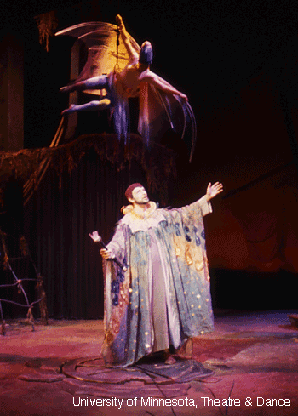 1) Curators, dance repetiteurs, and re-creators of theatre face cognate theoretical and practical challenges. But we approach the concepts from widely different angles. Amelia Jones reminds us that for the critical tradition around performance art, the live body is very nearly a scandal in itself, in part because it resists the sort of aesthetic containment that enfolds painting and sculpture. From the point of view of dance and theatre the body is potent element, but hardly a disruptive fact in itself. Thus dance trusts cultivate just the sort of containment and commodification that performance-based visual art deploys the live body to resist. 3) What remains an open question, to my mind, is whether the fact that these distinct economies have now converged to exploit a common set of reperformance techniques is related in a meaningful way to this historical moment. What characteristics of temporal experience or media-driven consciousness might have led us here? A historiography of performance across disciplines is required even to frame the question.